If you couldn’t quite work up the courage at Christmas to pop the question, you’ve got another opportunity coming up that is very popular as a get-engaged holiday. 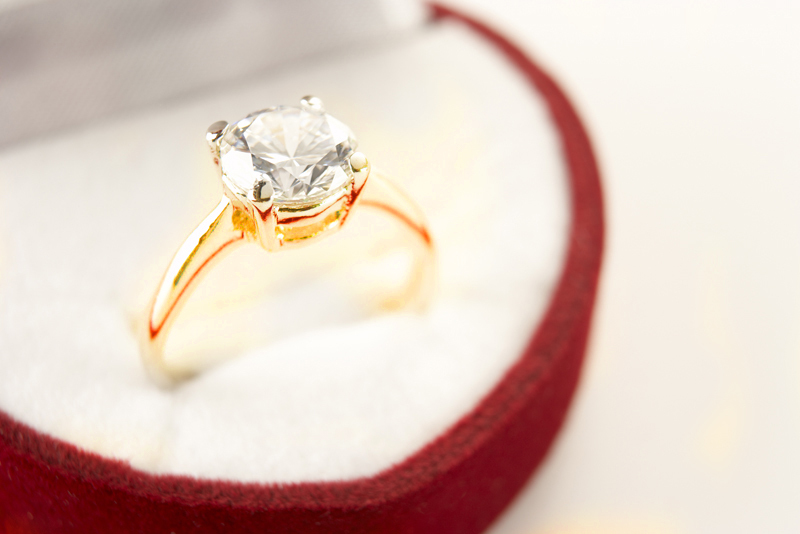 Valentine’s Day is all about love and romance – what better time to ask your sweetheart to be yours forever? • Toys – an Etch-a-Sketch or a Lite-Brite are perfect for spelling out those special words. • Puzzle – order a custom puzzle with a photo of you two and the words “Will You Marry Me”. Do the puzzle together and be prepared for her stunned and excited expression. • Find Your Inner Poet – and write her a poem, a song or even make a video proposing to her. • Use Nature – If you are on the beach, write it in the sand. Camping? Spell it out with rocks. Use flower petals to compose your proposal (best done on a not-windy day!). • Get crafty – if you can cut and paste, you can make her a card using glitter, hearts, lace, asking her to marry you (she will keep this forever, I promise!). Go to a craft store and gather up some cardstock, glue and Valentine-themed sparkles. Dress in your best when you are doing this. If you have a shirt she loves to see you wear, put it on. Also, most women do not want a huge audience when you pop the question so keep that in mind. Flashing it across a scoreboard at a game sounds great in theory, but think about how you’d feel if she said no in front of those thousands of sports fans. Use your heart and your head and you’ll do just fine in coming up with a proposal you’ll both remember for a lifetime!